Video Jam bring together artists from either side of the Atlantic for an evening of short films with original live soundtracks – all inspired by the life and works of Jean-Michel Basquiat. The audio-visual producers Video Jam curate events which combine film and live music in response to a site or theme, and on this occasion have responded to the massive cultural impact of Basquiat – who is the subject of Boom for Real in our Art Gallery this autumn. All presenting new work, NYC-based filmmakers and musicians from the UK have been carefully selected, taking into consideration Basquiat’s relationship to TV, film and music, and placing him within the wider context of the time. The film work covers a diverse range of genres - hand drawn animation, essay film, narrative, video art and more, while the musicians chosen – including the Mercury Prize winning Young Fathers and the Afro-tinged Ibibio Sound Machine – reflect Basquiat’s wide ranging musical tastes, from Bebop and Jazz to Hip Hop and experimental Noise. 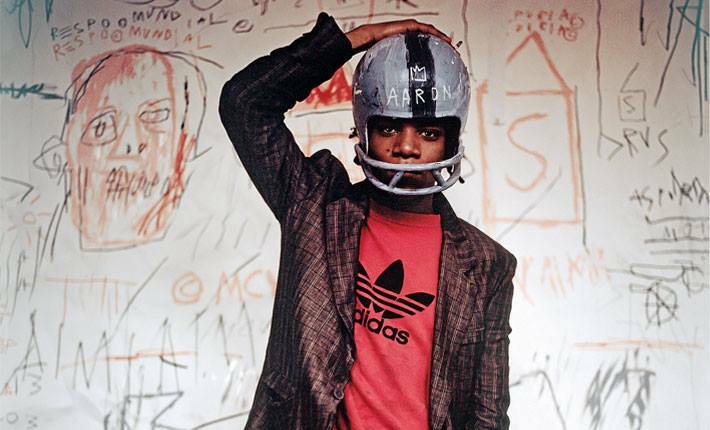 In addition, you can now get exclusive access to see Basquiat: Boom for Real for a fiver with 2018's first Young Barbican private view Discover the work of Jean-Michel Basquiat, the pioneering prodigy of the 1980s downtown New York art scene and one of your last chances to see the UK’s first large-scale exhibition of his work. Spend your evening getting to see a different side of Basquiat with tours from our Young Barbican guides on what Basquiat means to you. Then, head to our iconic conservatory for an amble among the vines with your complimentary drink from our pop up juice bar. Become a Young Barbican member for free http://bit.ly/2idAlXq.